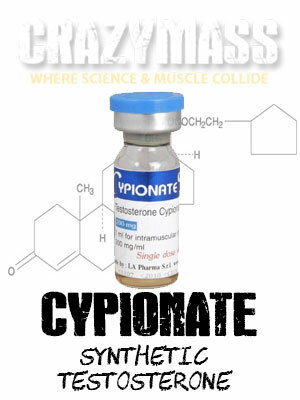 Cypionate or Testosterone Cypionate is one of the fastest acting steroids known. It is usually administered as an injectable and starts working immediately, but unlike natural testosterone, Testosterone Cypionate metabolizes slower because of it’s stronger chemical bonds and has a longer lasting effect. Testosterone Cypionate has several names and has been very effective at both increasing muscle and decreasing fat in the body, however, if abused, Testosterone Cypionate can have some very negative side effects. Testosterone Cypionate is one of the fastest acting steroids on the market. It is delivered by way of an injection which makes it able to start working immediately compared to orally administered steroids. This steroid has several effects on users whether they are men or women. Naturally, men have more testosterone than women. Cypionate increases the level of testosterone even higher and causes users to have more body and facial hair. This hormone is a synthetic form of testosterone and it can be used by people to enhance physical performance. In men, it intensifies their distinguishing features such as facial hair, body hair, and muscular structures. 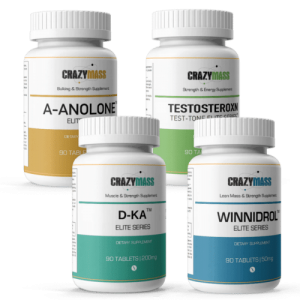 The hormone is not any more different than naturally produced testosterone in terms of effectiveness. There is one major difference between Testosterone Cypionate and natural testosterone. This difference is that the synthetic hormone is designed to be slowly released into the bloodstream for a longer-lasting effect. This is done by bonding an alkyl group in the testosterone molecule in order to prevent its breakdown. Testosterone is one of the most active hormones in cellular regeneration and this makes it a perfect fit for people who are interested in bodybuilding. The rigors of bodybuilding also lead to many injuries which testosterone helps to repair. Apart from helping to increase muscle and repair damage, Cypionate helps to reduce fat in the body. It inhibits the action of glucocorticoid hormones which cause muscles to waste away. By keeping the extra muscle around, the body is able to maintain a higher metabolism and burn more fat. The testosterone hormone increases red blood cells and this increases oxygen supply to muscles hence increasing strength and stamina. Testosterone Cypionate is an injectable anabolic steroid, the hormone should always be administered with a clean needle and the dosage and prescription monitored by your medical professional. Unfortunately, Cypionate bears several side effects of use and they are similar to the side effects of other steroids. One of them is that the hormone causes aromatization, which is the conversion of testosterone to estrogen. Because steroids quickly change from one state to another, Testosterone breaks down into estrogen after a few chemical passes. This causes men to develop seemingly feminine features such as breasts. In women, the hormone can cause an increase in body and facial hair. It can also cause a deepening of their voice. Testosterone Cypionate increases the water retention capability of muscles, therefore, causing people to get tired faster and they could also experience pain in the muscles when exercising due to cramping and electrolyte imbalances. 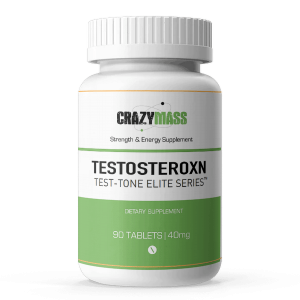 Long-term use of the hormone may cause the testes to shrink because of reduced natural testosterone production as a result of the presence of artificial testosterone. This may lead to the inability to keep an erection and infertility. Is There Legal Testosterone Cypionate? No, due to the dangers associated with Testosterone Cypionate, it is available by prescription only. 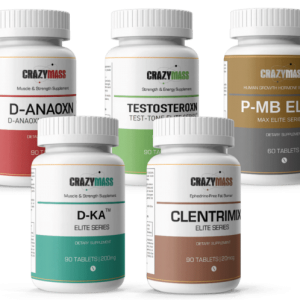 We worked very hard to formulate supplements that can help boost your test without the hassle and risk involved in using illegal steroids like Testosterone Cypionate. Our legal anabolic supplements are made to perform. Below are some of our supplements that are legal alternatives to Testosterone Cypionate.